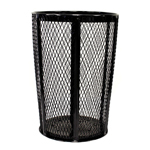 Expanded metal outdoor container with nameplate. 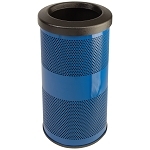 Powder coat finish for maximum wear and protection. 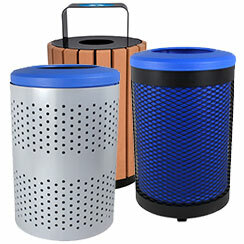 A heavy-duty expanded metal container that weathers the great outdoors. 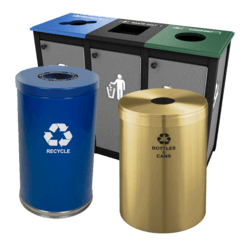 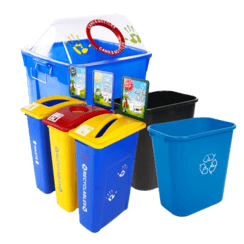 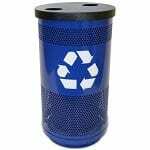 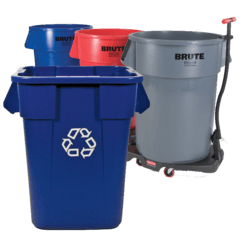 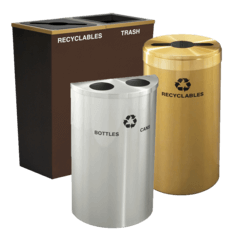 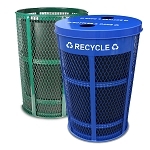 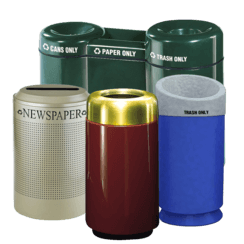 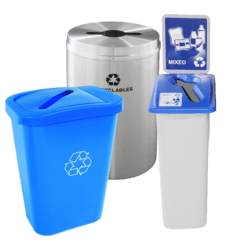 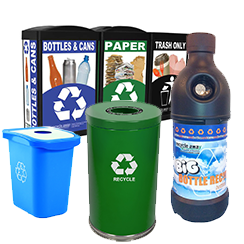 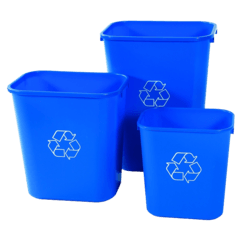 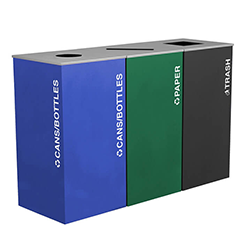 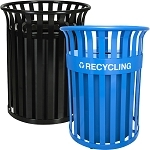 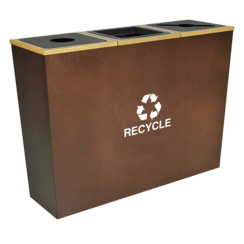 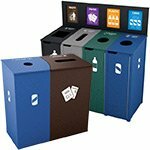 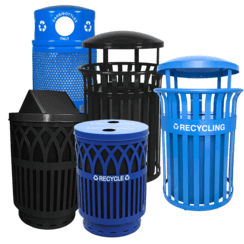 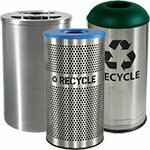 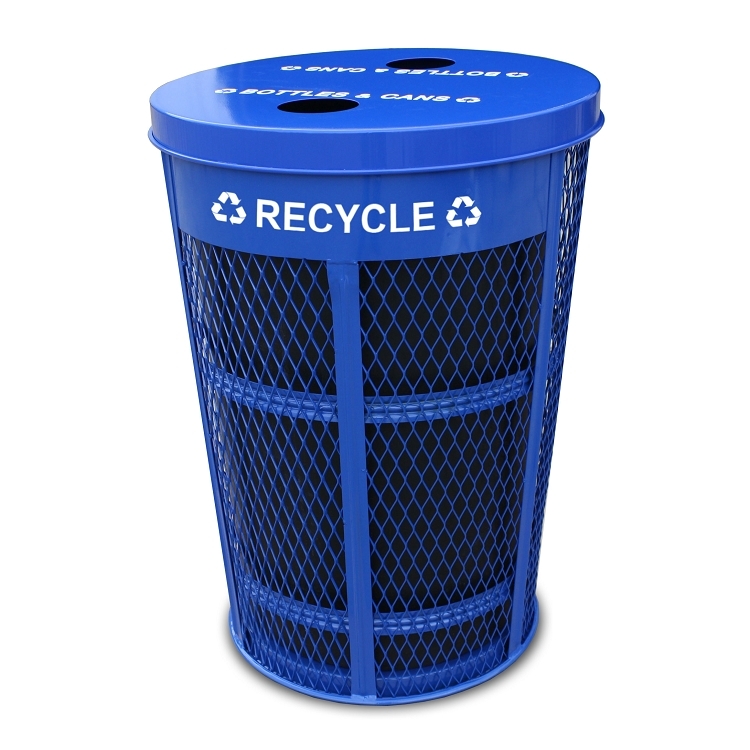 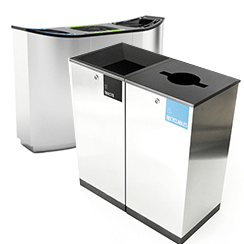 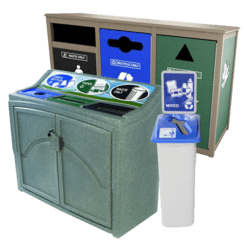 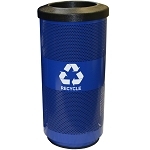 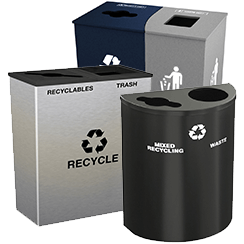 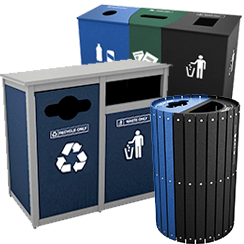 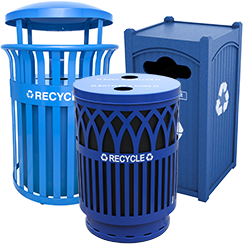 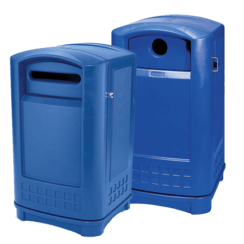 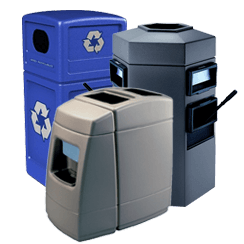 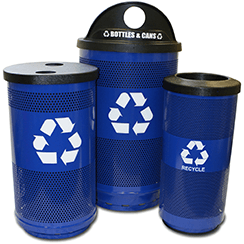 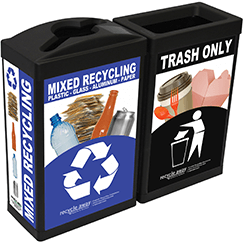 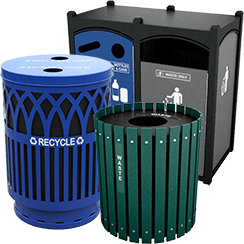 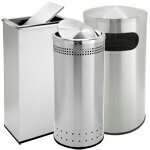 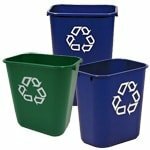 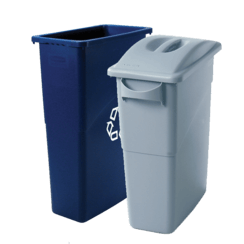 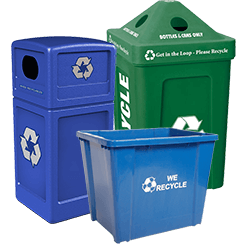 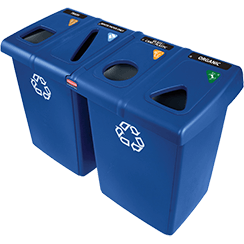 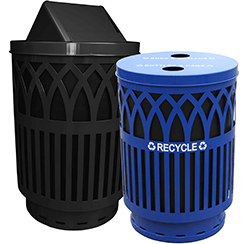 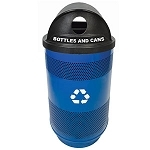 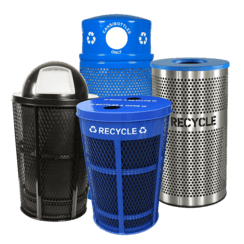 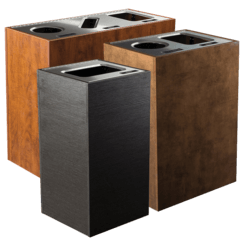 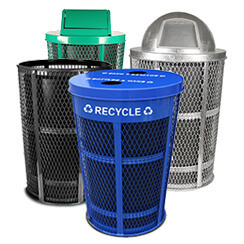 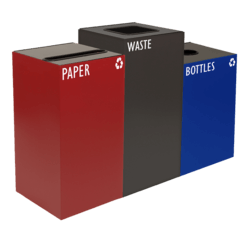 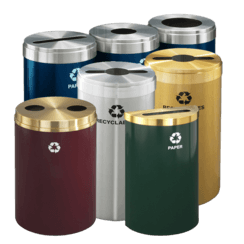 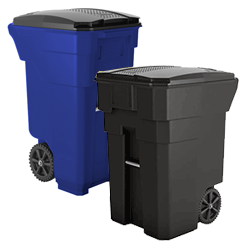 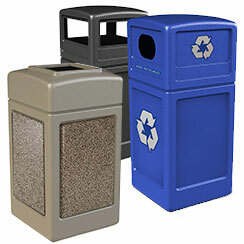 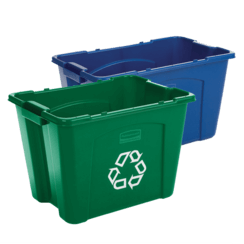 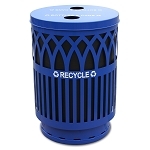 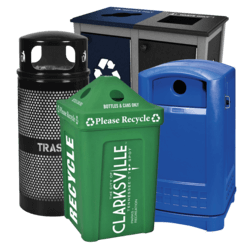 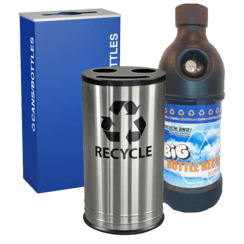 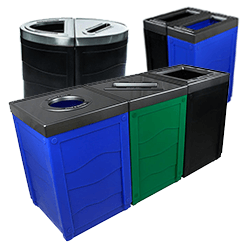 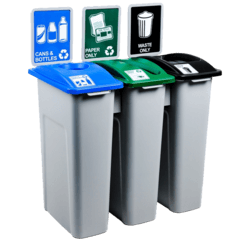 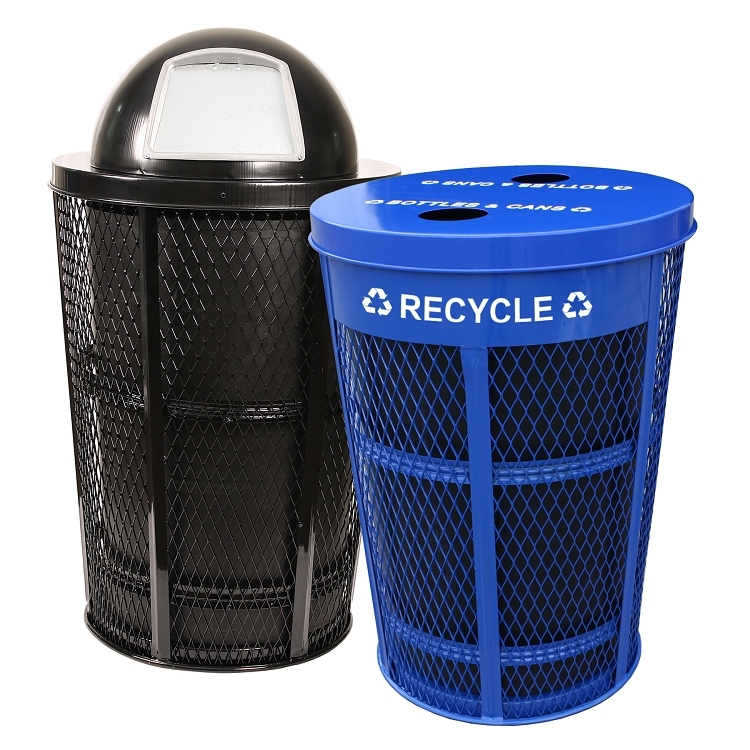 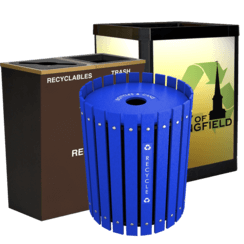 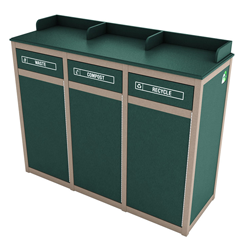 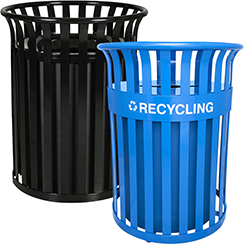 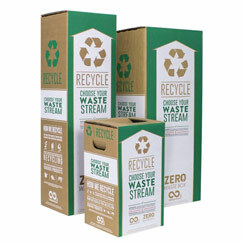 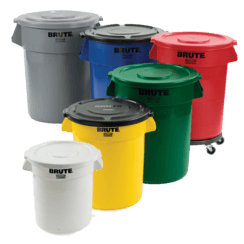 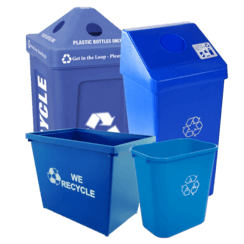 Durable and attractive, the classic look of this recycling bin lives well in outdoor settings like playgrounds, amusement parks, college campuses and schools. 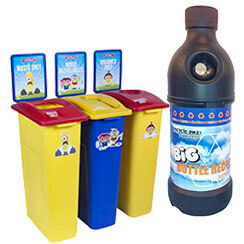 Busy pedestrian areas and outdoor shopping malls are also prime spots for these big barrels. 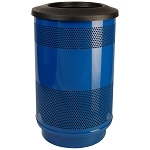 Optional rigid plastic liner available for easier servicing. 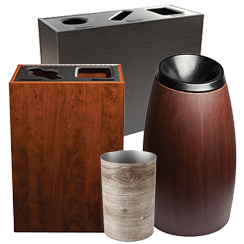 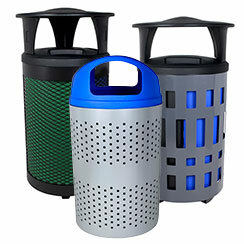 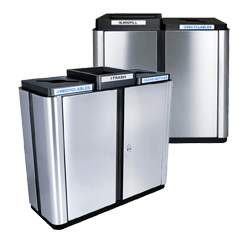 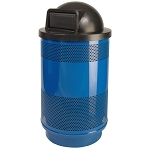 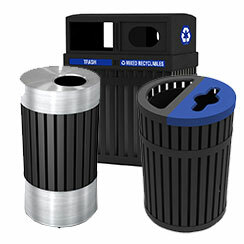 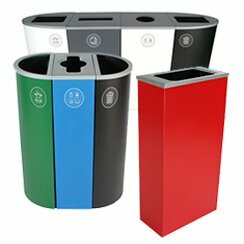 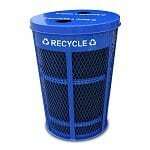 Also available a Waste Container!